I in no way consider my decorating style contemporary or modern, but lately I've come across many contemporary things in the world of decorating that I really like. Light fixtures top the list. Today I'm sharing a few. The first one was my inspiration for this post. 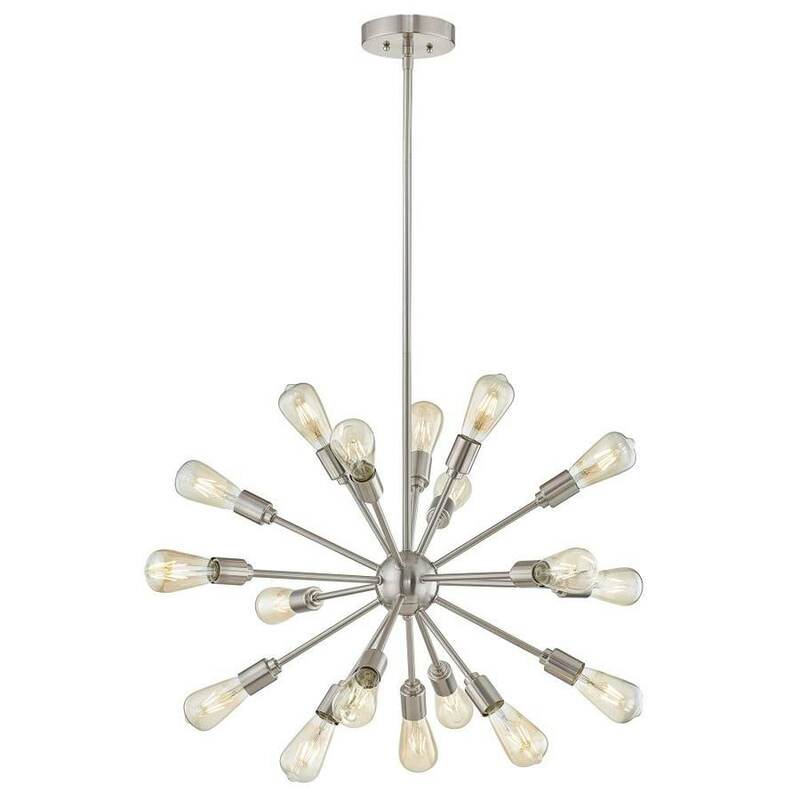 I've forgotten now where I came across it, and though it probably wouldn't work well in my traditional, fairly conservative home (or in my budget, for that matter), I think it is elegance, coolness, and Brady Bunch-ness all in one happy fixture. I like the simplicity of the next one. It's clean and sleek and maybe a bit masculine. I would use it in an office or maybe a sitting room. 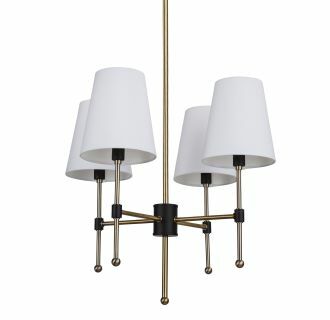 The "Sputnik" chandelier has grown on me. I didn't know what to think about these fixtures the first few times I saw what seemed like nothing more than a pile of light bulbs. 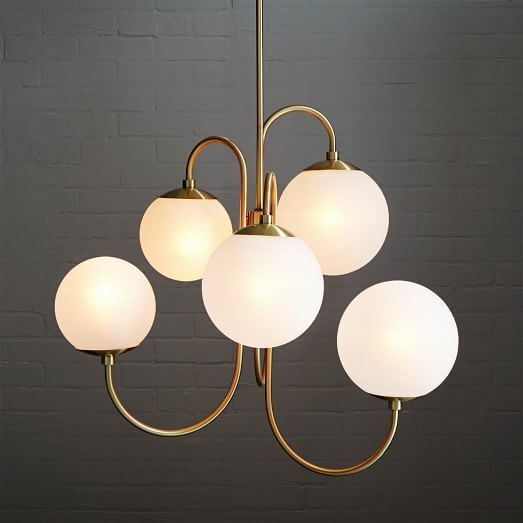 The orb chandelier is a great choice if you have high ceilings and a large open area to light.